This Saturday, Israel Adesanya has the chance to compete for his first UFC title when he takes on Kelvin Gastelum at UFC 236 in Atlanta, Ga. But if Adesanya has his way, it won’t be his last one. But Adesanya isn’t counting his chickens just yet. When asked how he matches up with Jones, The Last Stylebender said that was something to worry about later, he has plenty to do at middleweight first. It’s wise of Adesanya to not get ahead of himself because this weekend presents his toughest fight yet in the Octagon. Since moving up to middleweight, Kelvin Gastelum has been on a tear and his aggressive, pressuring style figures to be one of the harder matchups for The Last Stylebender. Adesanya isn’t worried though, he’s convinced he’s too good. Go Go. Max Holloway says new UFC belts look like something out of Power Rangers. Punisher. 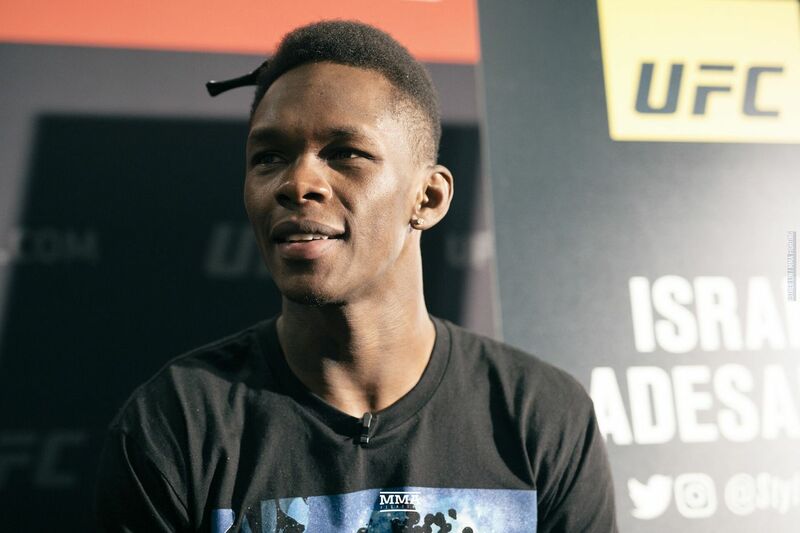 Israel Adesanya says Kelvin Gastelum can take a lot of punishment ‘and I’m willing to deliver’. Charity. Dustin Poirier wants to use championship platform to take charitable actions ‘worldwide’. USADA. Mairbek Taisumov accepts six-month USADA suspension. The MMA Vivisection. Previewing the biggest fights at UFC 236. UFC Unfiltered. Interviews with Israel Adesanya, Alan Jouban, and Rodney Atkins. they need to ban cheaters for life!! Bryce Mitchell is all of us. STACKED @GamebredFighter meets @BenAskren at #UFC239 during International Fight Week! If y’all don’t know, Gable Stevenson finished 3rd in the NCAAs this year as a true freshman and is a decorated juniors wrestler. Big time heavyweight prospect. Danny Roberts (16-4) vs. Michel Pereira (22-9, 2 NC); UFC Rochester, May 18. Good week everyone. Solid effort all around. Why don’t you all take the day off and enjoy a long weekend?